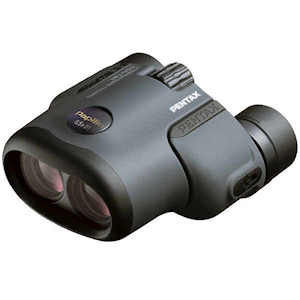 The Pentax 8.5x21 Papilio II binocular features BaK-4 Porro prisms which deliver a <20" close focus allowing you to study small objects such as butterflies, dragonflies, animal footprints, landscape features and more. To reduce shaking when observing close or distant objects, you can connect the Papilio II to a tripod using the integrated 1/4"-20 socket. With a 2.5mm exit pupil, 15mm eye relief, adjustable interpupillary distance and diopter you can use the Papilio II binoculars with comfort and stability. The 8.5x magnification and 21mm lenses allow you to get the perfect up-close images while out in nature. Papilio is the Genus of swallow-tailed butterflies. 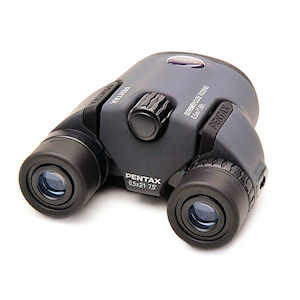 Even if you already own binoculars, you need this one too. Nothing else lets you look at a butterfly or a flower this closely. Closer than just close—if a butterfly lands on your knee, you can actually focus on it through your Papilio. You can see a nearby butterfly as if you were examining it through a magnifying glass - and this is not limited, you can easily observe birds or other animals with the magnification that these offer. This specialized binocular belongs in every nature lover's pocket. Field of View: 346.5 ft. at 1000 yds. Dimensions: 4.57 x 4.33 x 2.1 in. 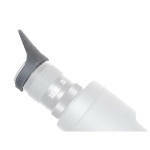 Product Weight (oz): 10.2 oz. Please ship the following items along with your product: A copy of your dated proof of purchase (sales receipt, charge slip, etc. ), a note explaining the problem, a note of the PENTAX model you are sending, along with the serial number (if available) for our records as well as your own, and please include your address and day-time phone number.